Understanding how the Mayon Turbo Stove has improved living conditions in the southern Philippines, REAP-Canada is facilitating governments, NGOs, manufacturing workshops, and others to market the stove in other nations. We have prepared an International Marketing and Manufacturing Package which includes information on what is needed to manufacture and disseminate the stove at the local level. 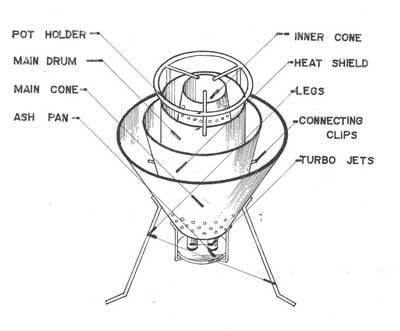 The package includes general information on the stove, design drawings for manufacture, an instruction manual, brochures, and former case studies, and can be obtained for $200 CDN. If you are interested in obtaining more information on the Mayon Turbo Stove or are interested in purchasing one of these packages, please contact us by email at info at reap-canada.com or phone at 514-398-7743.